• A 2.5% consolidated increase for all grades (RPI February 2019, published in March 2019), effective from 1st April 2019. Your RMT negotiating team is of the unanimous view that this offer falls well short of members’ aspirations and in fact fails to address any element of the RMT pay and conditions claim. 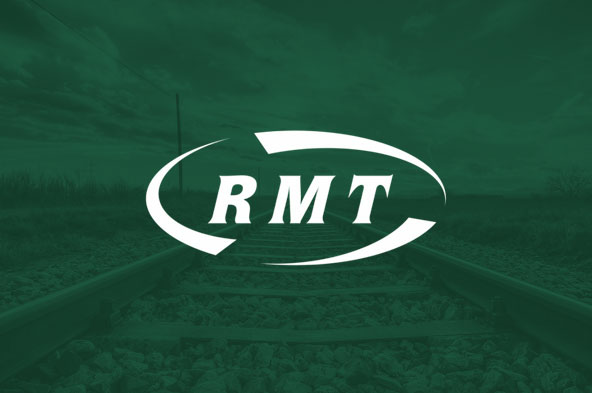 RMT, along with our sister unions, expressed our disappointment to the Company and in response, LU stated it is willing to hold further meetings although at this stage the above offer is the best available with what is on the table. This matter has been considered by the National Executive Committee, which has taken the decision to formally advise LU of our rejection of the offer and that unless significant improvements are made it is likely that a dispute situation will exist over this issue. Also to prepare a ballot matrix of all London Underground members and arrange a meeting of all 2nd Stage LU Reps in order to discuss the offer and potential further steps in this campaign. I am acting in accordance with the above and would ask that in the meantime all members check their membership records are correct. Therefore, if your job title, home address or workplace has recently changed, please contact the RMT Helpline on 0800 376 3706 or the RMT switchboard on 0207 387 4771 and ask to speak to the Industrial Relations Department. Alternatively, you can e-mail your change of membership details to info@rmt.org.uk. I will of course keep you updated with all further developments.